Chicago Deep Dish Pizza at Giordano’s! 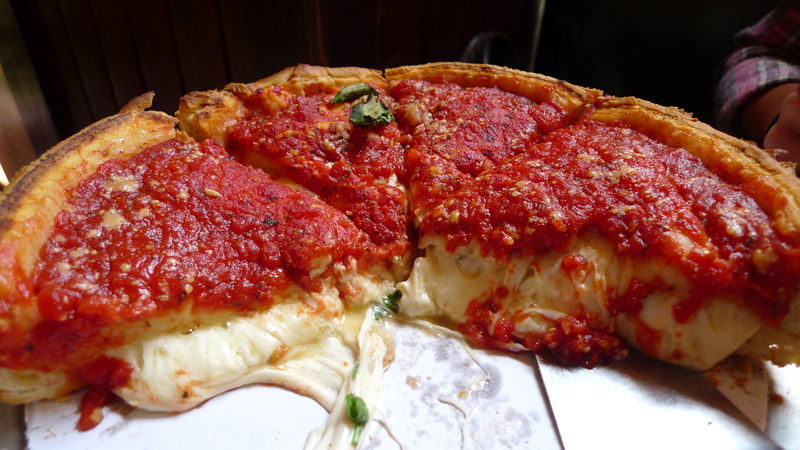 So when I told people that I was moving to Chicago, they said – “You have got to try Chicago Deep Dish Pizza!”. Last night I went to the famous Giordano’s Pizza so that I could try the famous deep dish pizza. I didn’t have a reservation, so needless to say, I had to wait about an hour for a table. Once I was seated, I was informed that a deep dish pizza is at least 40 minutes of prep time! What??? This must be some pizza! 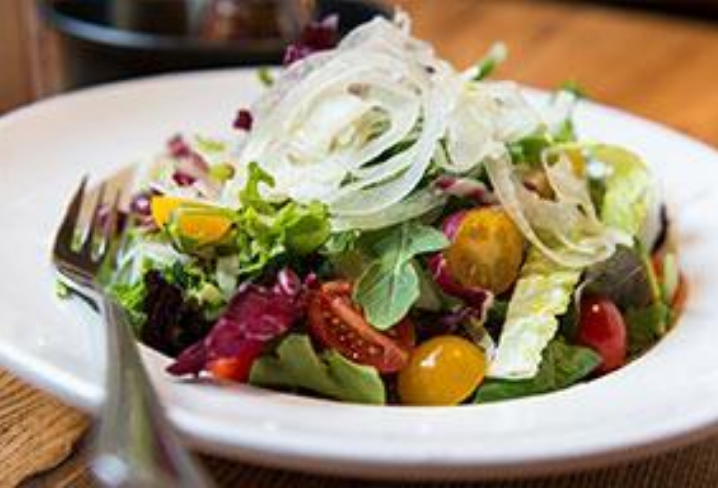 I ordered a salad to enjoy while I waited and it came relatively quickly and it was very good, but the anticipation of the Chicago Deep Dish Pizza was killing me. I consider myself a people watcher, so I amused myself with watching the other patrons at Giordano’s while I watched numerous deep dish pizzas go by. Ok, now I’m really getting hungry! 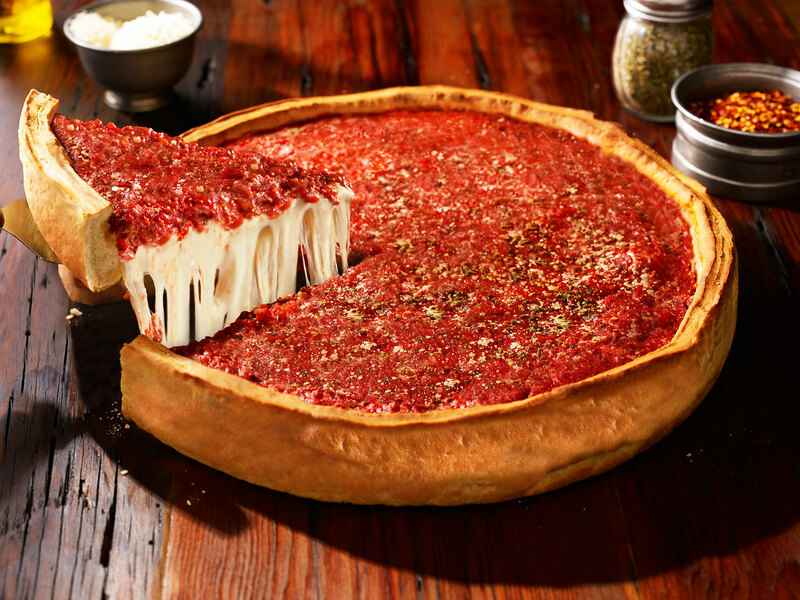 So, while I am sitting here waiting for my pizza, I am doing some research on my phone about Giordano’s Deep Dish Pizza. Apparently it is a stuffed deep dish pizza that originated in Italy as an “Italian Easter Pie” and became quite famous. As I am watching them go by to other tables, I notice that the sauce is on top and they are very thick. The other patrons seem to be enjoying them immensely and my mouth is watering! OMG! That is a lot of dough! By this time, I had been here for almost 2 hours and had only eaten a salad, so I was ready to dig in! The pizza was very good and incredibly filling, but I think I prefer the thin crust. There was no way I was going to eat the whole thing, but I put a pretty good dent in it! I don’t think I have ever eaten that much cheese in one sitting in my life! Maybe it is because I am not yet a native Chicagoan, but deep dish pizza just isn’t my thing. 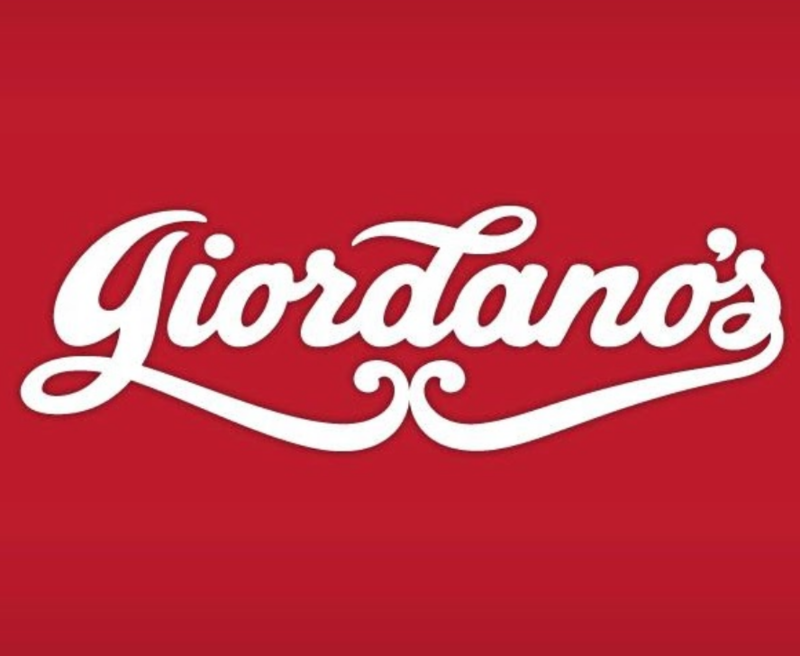 If you come to Chicago, you have to try Chicago Deep Dish Pizza, just to be able to say that you have tried it and Giordano’s should be on your list! My New Obsession – Matcha! 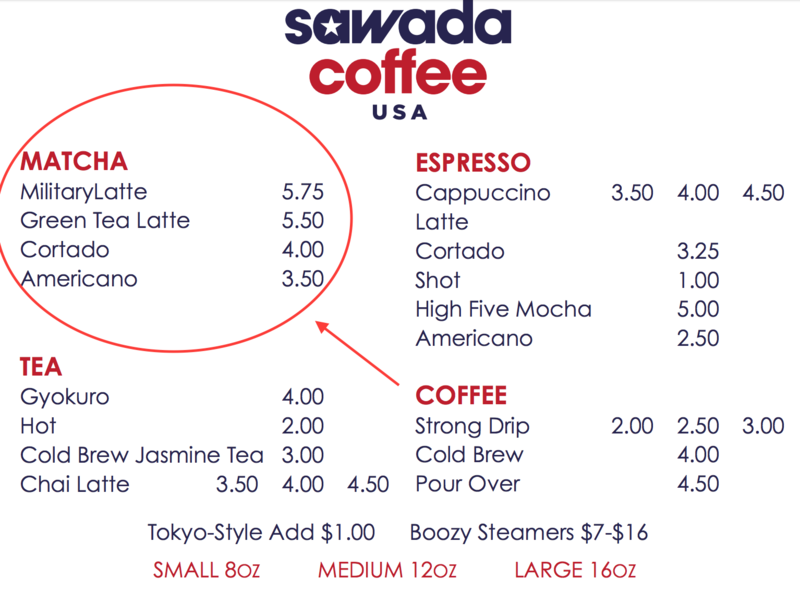 I met a friend of mine the other day at Sawada Coffee, a coffee shop on North Green Street. I was planning on having a Latte to boost my energy and enjoy while we talked. Well, my friend ordered a matcha green tea. I had never heard of matcha before, so I asked her what it was. Turns out, matcha is a green tea powder that has amazing health benefits and its caffeine is tempered and there is no crash or jitters. I am always up for trying new things, so I ordered a military latte which id matcha latte with some expresso and chocolate. I felt so good the rest of the day. I seemed to have this clear focus that I had been lacking for so long. When I got home that night, I googled matcha and found all kinds of awesome information about this amazing superfood. I found the best website for clear concise matcha information was matchaconnection.com. They have awesome information on the best matcha brands and where to buy it as well as information on the health benefits of matcha and more. Highly recommend it! So now I not only go to the coffee shop for matcha latte, but I also make matcha green tea at home. I just can’t get enough of the stuff! I love the way it makes me feel,so energized and clear headed. I’ve already turned a bunch of my friends on to matcha and I even got my mom hooked! 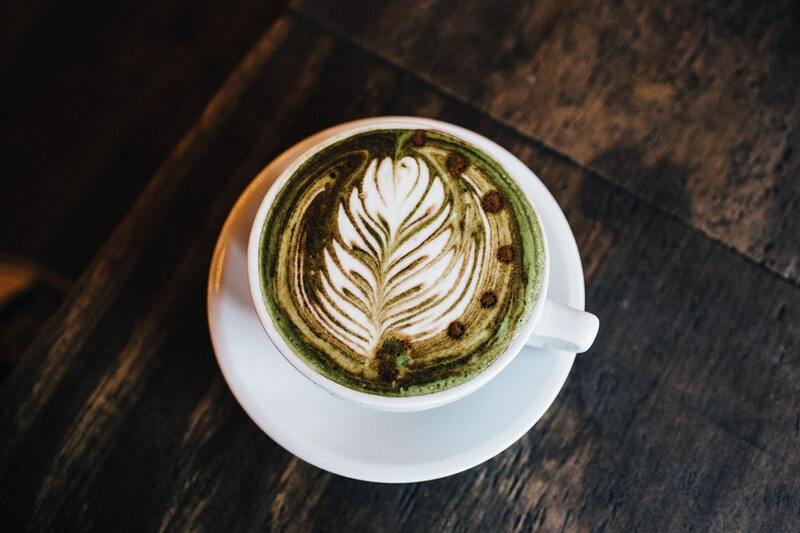 The next time you are out at a coffee shop in Chicago and you see matcha on the menu, do yourself a favor and try it, but I am warning you, you may like it… A lot! Hi I'm Sarah! Thanks for stopping by! Feel free to leave a comment and let me know what you think of my blog! Welcome to Life in Chicago! My Visit to Millennium Park.